I’ve just started reading The Woman Upstairs by Claire Messud, and a thought struck me; isn’t there a striking resemblance between Siri Hustevdt’s The Blazing World and The Woman Upstairs? The narrator of The Woman Upstairs is Nora Eldridge, and from the start she describes herself as something of a non-entity. ‘I’m neither fat nor thin, tall nor short, blonde nor brunette, neither pretty nor plain.’ She’s 42 and ‘neither married nor divorced, but single. A Diorama is a three-dimensional a scenic representation in which sculptured figures and lifelike details are displayed usually in miniature so as to blend indistinguishably with a realistic painted background. The word literally means “through that which is seen”, from the Greek di- “through” + orama “that which is seen, a sight”. Nora makes dioramas – (dollhouses?) – for historical female artists, women everyone knows would have been even more successful and celebrated in public had they been men. Harriet Burden’s dioramas seems more like realizations of the narrator’s own subconscience, but always with a gendered motif. I believe it’s very adequate to read these two novels from a feministic perspective, almost as some sort of documentarism, even if both novels clearly are very sophisticated & fictional. They are first and foremost literature – but still: these books presents us with a kind of gender discrimination that is (surprisingly???) still very present in todays society and art-world. The Blazing World and The Woman Upstairs are artists novels, novels discussing the female artist and her chances in a world where men still are taken more serious than women. Regarding feminism it is interesting to notice Messud & Hustvedt’s choices of names for their characters: Messud’s Nora can be seen as a loan from Ibsen’s Dollhouse, and Harriets second name – Burden – is also rather telling. I believe it could be very interesting, for someone with an analytic mindset, to make a comparative analysis of these two novels. 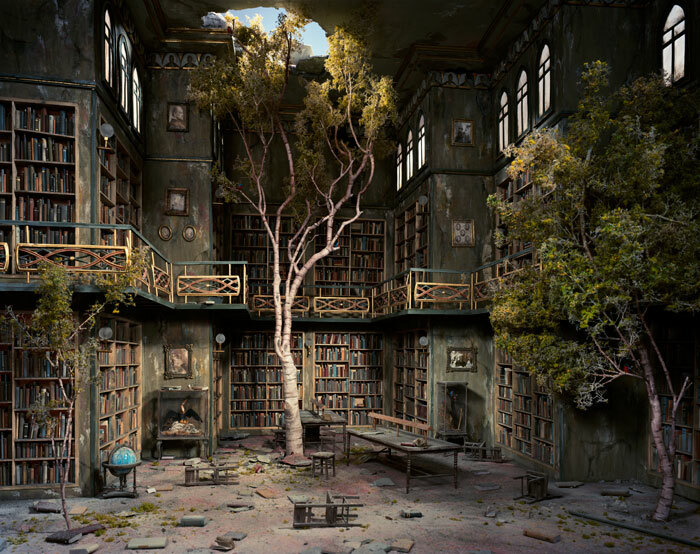 Lori Nix and Kathleen Gerber have collaborated on dioramas and miniatures for over fourteen years; their work has primarily been the subject matter for Nix’s fine art photography. 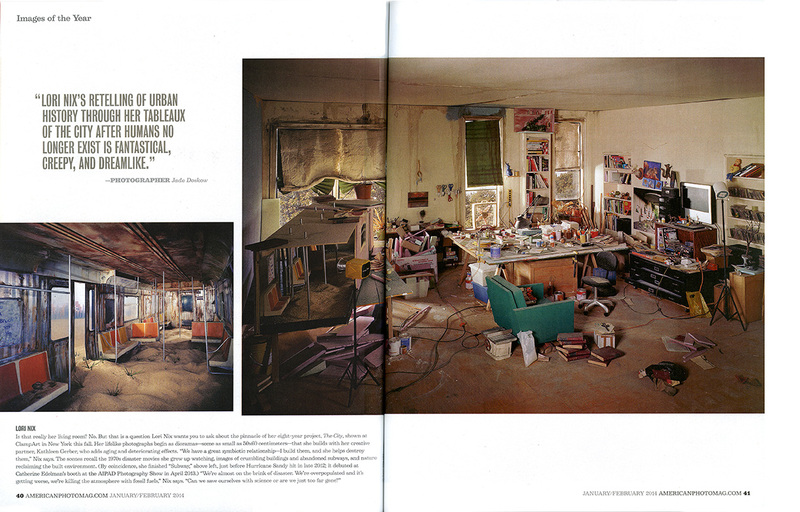 Her images of faux landscapes and gritty urban interiors have gained wide acclaim in both the U.S. and Europe, and she is a 2014 Guggenheim Fellow in photography. Oh! I do love the library diorama! Interesting post. I’ve read The Woman Upstairs but not The Blazing World. I will add it to my list.